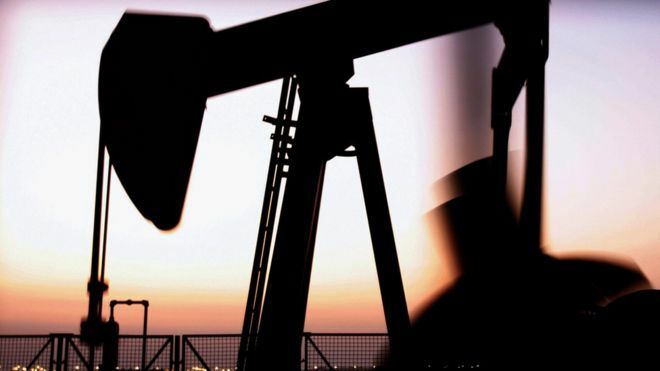 Oil prices have risen further following Wednesday’s agreement by the Opec group of oil producing nations to cut output. The price of Brent crude rose 4.5% to $54.19 a barrel, its highest level this year, after soaring 8.8% on Wednesday. The deal, Opec’s first output cut for eight years, is designed to reverse a slump in global oil prices and will see the group reduce production by 1.2 million barrels a day from January. But analysts have raised doubts about its chances of succeeding. “Compliance is key and it’s worth noting that Opec members don’t have the best record on that front,” said Neil Wilson of ETX Capital. The price of US crude has also risen, trading 4.3% higher at $51.54 a barrel after jumping 9% on Wednesday. The output cut follows several years of depressed oil prices due to a supply glut on the market, which has seen prices more than halve since 2014. It says its goal is to ensure the stabilisation of oil markets, “in order to secure an efficient, economic and regular supply of petroleum to consumers, a steady income to producers and a fair return on capital for those investing in the petroleum industry”. Its members include Algeria, Angola, Ecuador, Gabon, Iran, Iraq, Kuwait, Libya, Nigeria, Qatar, Saudi Arabia, UAE and Venezuela. Indonesia agreed to suspend its membership on Wednesday. The agreement rests heavily on Saudi Arabia – the world’s biggest oil producer – which has agreed to slash about 4.5% of its output, or 500,000 barrels per day. But non-Opec countries are also party to the deal and will be expected to reduce production by a further 600,000 barrels a day. So far Russia has pledged to cut 300,000 barrels from its output of more than 10 million barrels a day, but it is unclear who else will also scale back. Despite the rises, analysts noted that prices had only returned to levels seen in September and October – when plans for a cut were first announced – and raised doubts about the deal. Mr Wilson said oil-producing countries that were not party to the deal, such as the US, were likely to increase production as prices rose, offsetting efforts to curb oversupply. “Russia says it will cut 300,000 barrels per day… but we don’t know where the other 300,000 barrels a day from other non-Opec members is going to come from,” he added. Opec said it would hold talks with non-Opec producers on 9 December, and hold another meeting in May 2017 to monitor the deal’s progress.